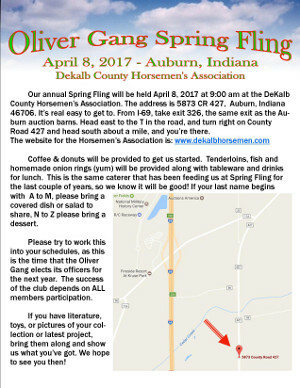 The Oliver Gang will be at the Winter Tractor and Gas Engine Show March 16-18, 2017, indoors at the Auburn Auction Park, Auburn, Indiana. Stop by and say hi, we'll be there all through the show. Located just off I-69 at exit 326. The Oliver Gang is proud to be hosting the Hart-Parr Oliver Collectors Association's annual Winter Get-Together, in conjunction with the Florida Flywheelers show, near Fort Meade, Florida. 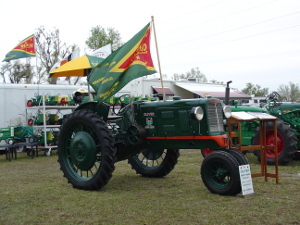 This is a HUGE show with plenty of tractors, memorabilia, flea markets and sunshine for everybody. For more information, please download this flyer.